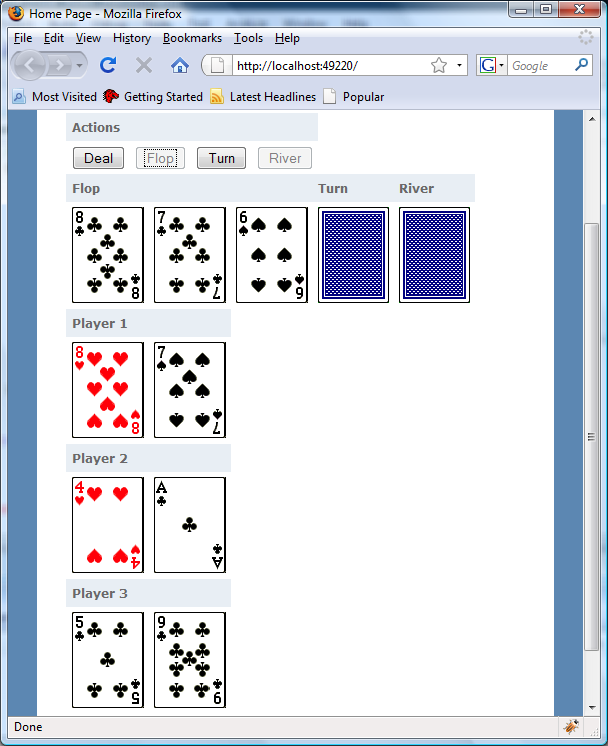 JQuery AJAX and ASP.NET MVC Texas Hold’em. 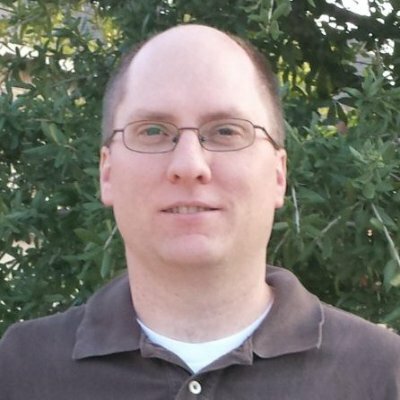 I wrote this little app to show how easy it is to do Ajax calls with jQuery. It can be downloaded here. Below is the HTML that defines the tables the cards are a part of. There are three main div sections with id attributes of actions, dealer, and players. These divs define the main regions of the game above. My shuffling algorithm is very simple but let's pretend it is a highly secretive new shuffling technique that we want to keep a secret; so I do it server side. Listed below are the three services and a nested helper class called Game that keeps the state of the game. They are all members of the default HomeController ASP.NET MVC creates when you do a new MVC project. The first service, the method called Deal, takes the number of players and returns the unique gameID—that the client will use to call the other two services—and the players initial dealt cards. The cards are integers from 1 to 52 that match the corresponding png card images. In the last line of all three services, I take advantage of the ability of ASP.NET MVC to take .NET objects and turn them into Json. The Deal button selector $("#actions button:eq(0)"), for example, says pick the first button under the element with an id=action. This will give me the button labeled “Deal”. I then hook up to the click event of the Deal button. Once the Deal button is clicked, I set all img elements in the page to the blank card to reset the game. Then I disable/enable other action buttons and set up the AJAX call. I set up the AJAX call by telling jQuery to do a HTTP post to the URL '/Home/Deal' and pass it the playerCount. If there is no error on the server, jQuery will call the function set to the success property. In my case, if there is no error on the server, I set the gameID to a hidden element in the page so other service calls can use it and then go through the returned cards setting the images. By looking at the Json in the response, I can verify that the gameID is a GUID and the cards for all three players are there. The other two services send the data in different Json formats but the same pattern is there.